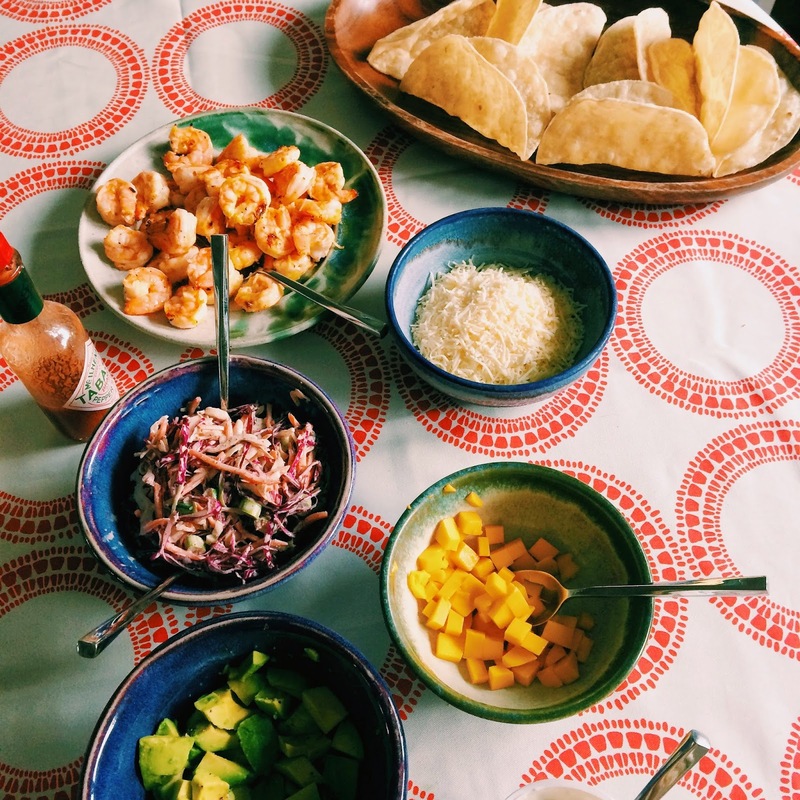 Whole Foods Coconut Mango marinade from the fish counter or make your own! 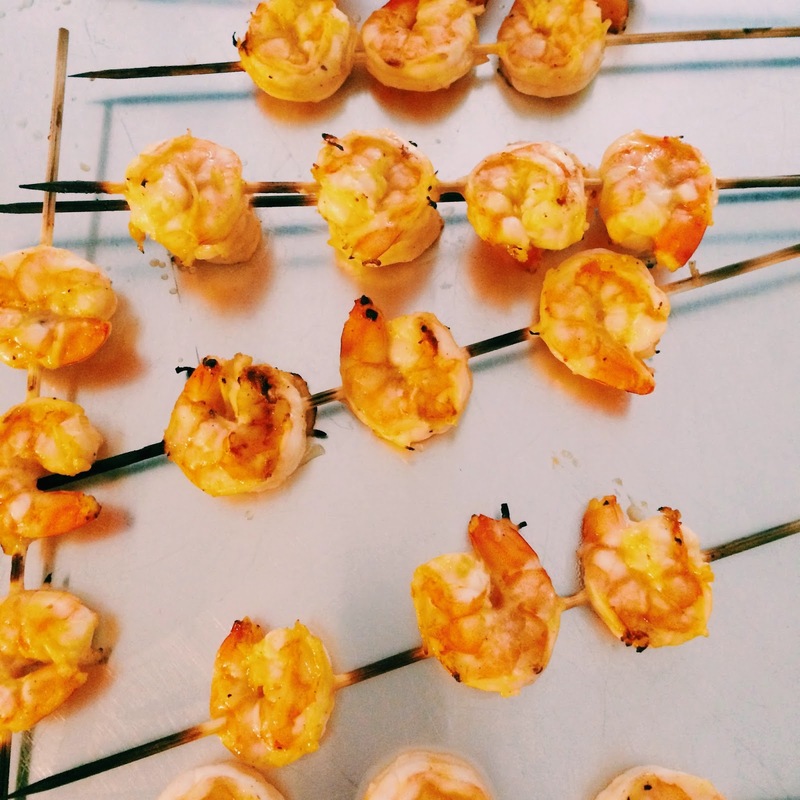 Marinade the shrimp and soak your skewers, if using wooden ones. 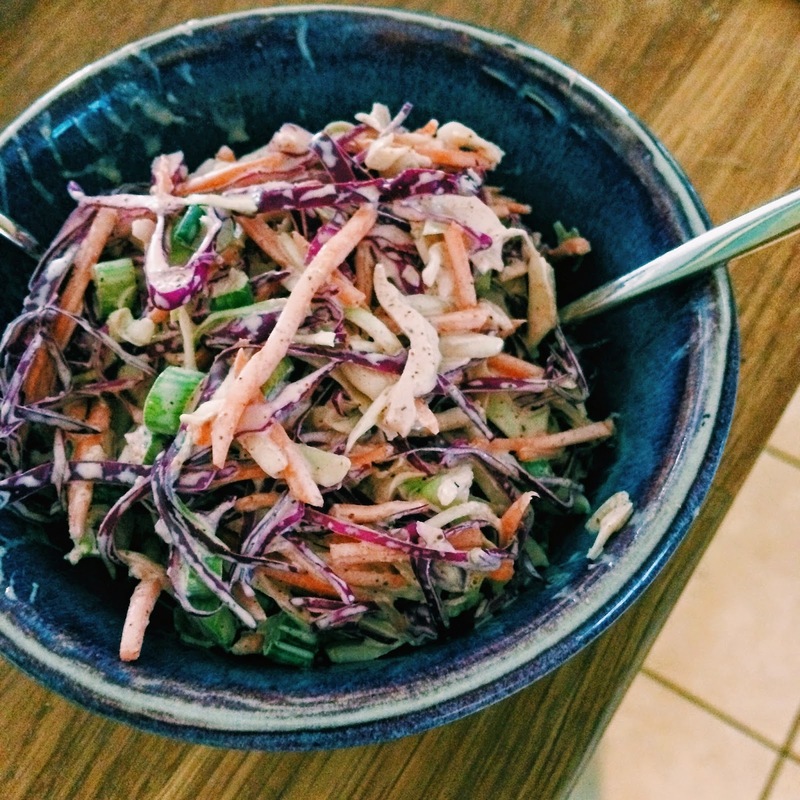 Shred the cabbage and mix the carrots, jalapeno, and red onions. Mix together the mayo, sour cream, honey, lime juice, cumin, chipotle powder, salt and pepper. Pour over the cabbage, carrots, jalapenos, onion or scallions and fresh cilantro, stir to coat. Set aside in the refrigerator. 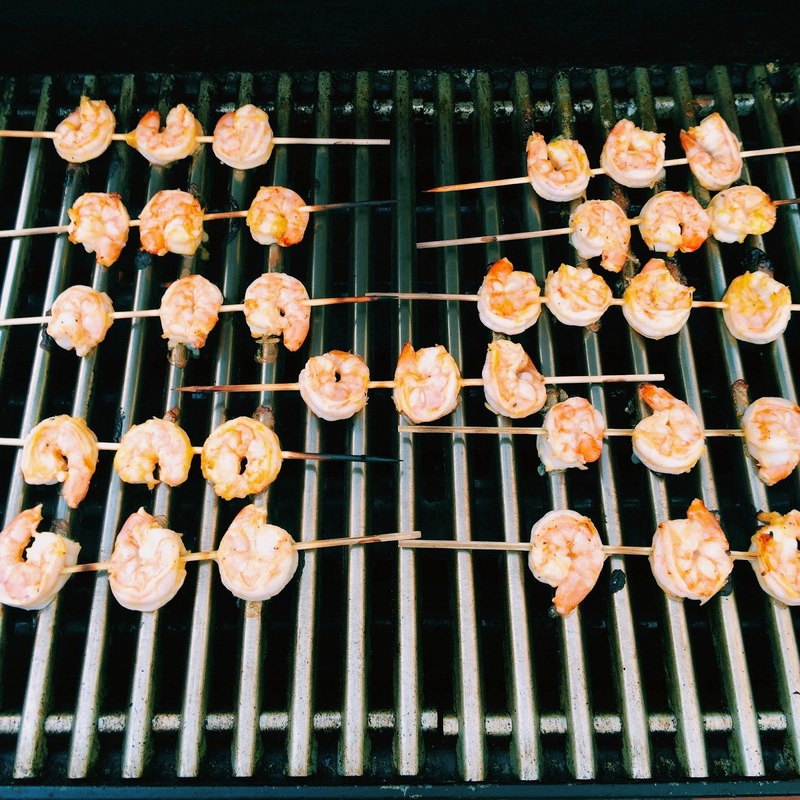 Grill the shrimp until firm and pink. 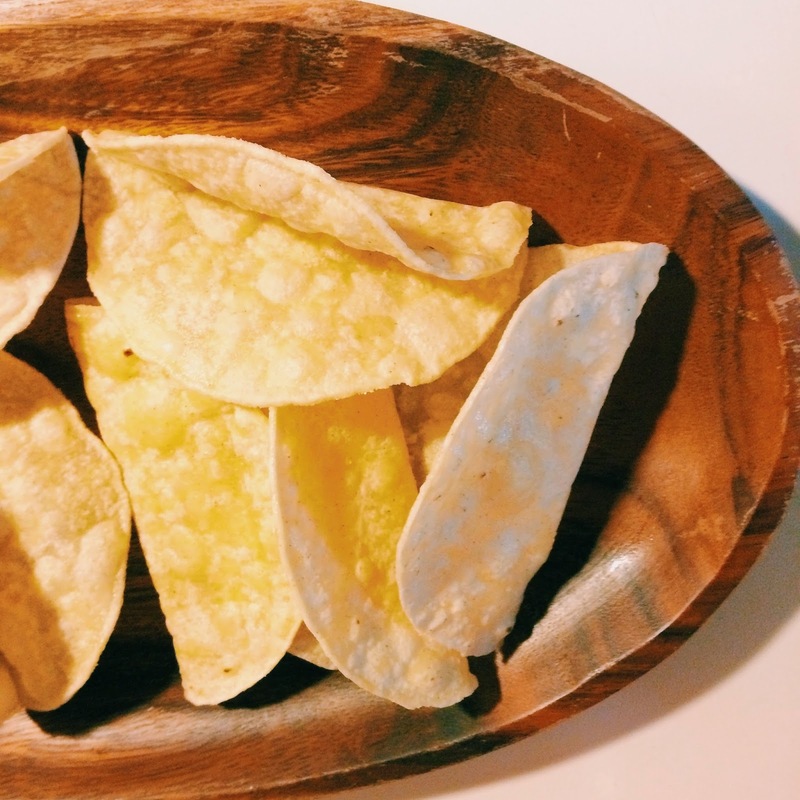 Either fry your own tortillas (the best!) or use store bought. 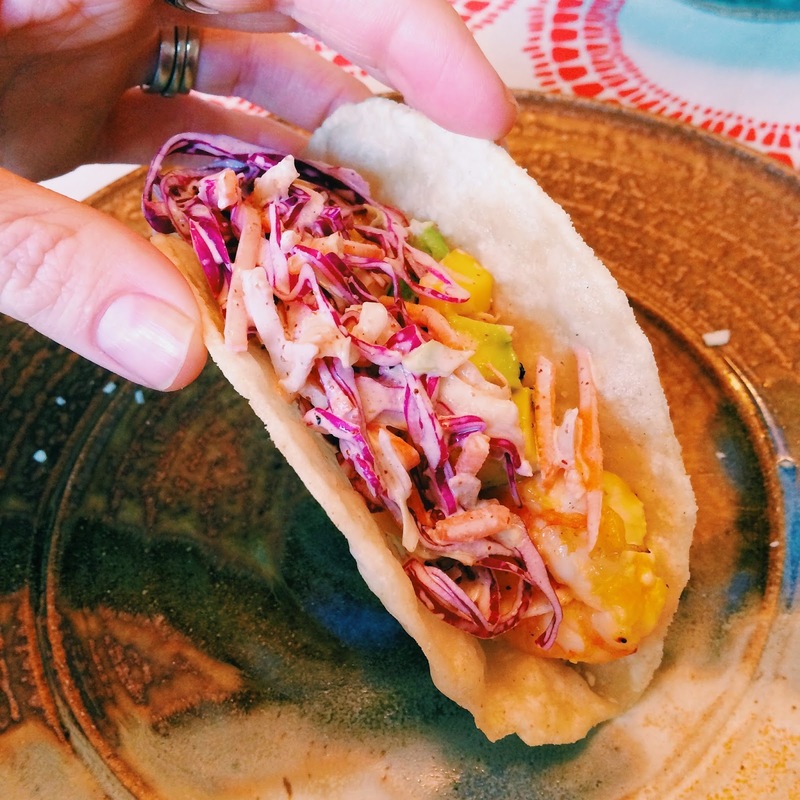 Serve with freshly diced mango, diced avocado and in our house Tabasco hot sauce! Enjoy with a cold beer. 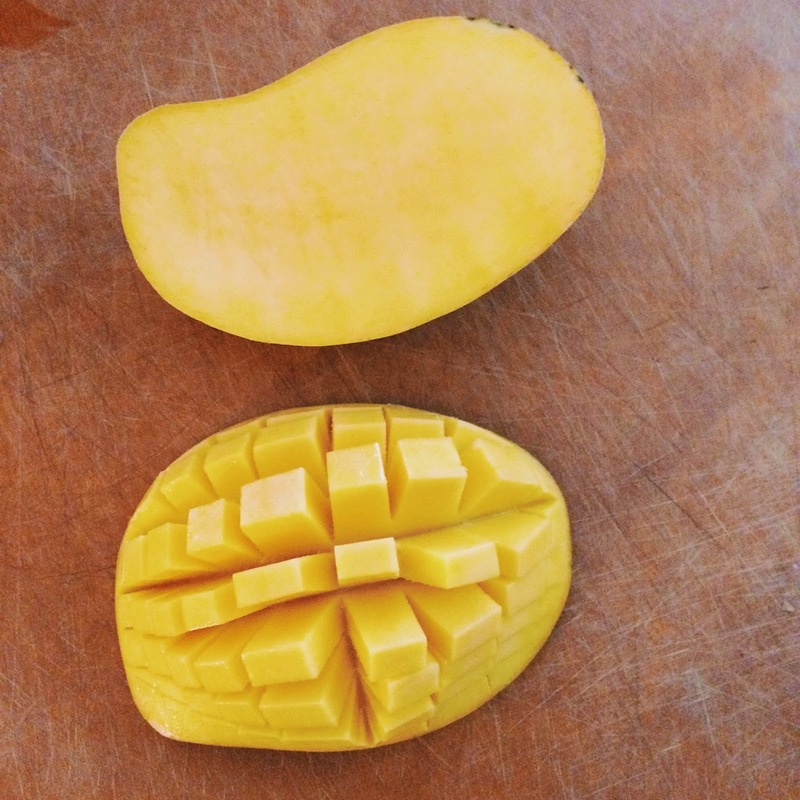 beautiful Champagne mango, my favourite. The whole spread!! It was delicious, fresh and tasted like Summer on a plate.